We have a wide array of rentals available from Luxury Villas to apartments, whether it's short stay, long term or holiday rentals you need, we can accommodate you! Our new site allows you to search for the properties you want, you can now search on price, location, beds, baths and more to help you find what YOU need. Don't forget which property you were looking at, register and save your favourites to your account! 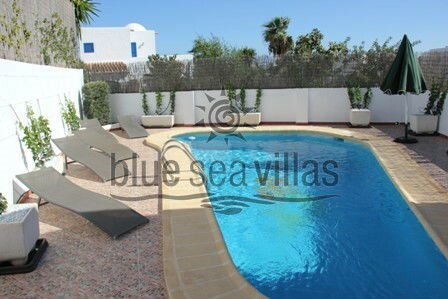 Blue Sea Villas is located in Mojacar on the Costa de Almeria. Mojacar enjoys the sunniest and warmest climate in the whole of Europe, and is known as ‘el rincon del embrujo’ or ‘the corner of enchantment’. Still unspoilt by mass tourism, this is the real Spain. Whether it’s a secluded mountain hideaway that you seek, or a family beachside holiday, we are here to help. We have a comprehensive selection of properties in and around Mojacar, catering for singles, couples and families alike. Blue Sea Villas is a family-run company, solely dedicated to holiday rentals, long term rentals and property care. We specialise in offering exclusive holiday rentals, ranging from beautiful detached villas to luxurious apartments. Long Term Rental Specialists – we pride ourselves on our honesty and hence our website, only displays LONG TERM RENTAL PROPERTIES THAT ARE AVAILABLE, unlike some other sites that advertise properties that are not actually available.